A file with the .GBA file extension is a Game Boy Advance ROM file. It’s an exact copy of a Game Boy Advance video game. If you have a GBA file on your computer, it means that the game has been copied from the read-only memory (ROM) chip located on the console. You can use it on your computer with an emulator, just as if it were being played on the Game Boy Advance. Some Game Boy Advance ROM files might use other file extensions like GB or AGB, but they should still work the same as GBA files. GBA is also an abbreviation for generic bootstrapping architecture and graph-based algorithm, but those terms have nothing to do with Game Boy Advance files. Game Boy Advance emulators like KiGB can be used to open the GBA file. That program works on Windows, macOS, and Linux computers. Some other options for playing GBA games on your PC include Visual Boy Advance, DreamGBA, RascalBoy Advance, Boycott Advance, mGBA, and BatGBA. Some of those GBA players might be in an archive format like 7Z, so you'll need a program like 7-Zip to open them. To open a GBA file on an Android, you can use MyGBA Emulator. The Game Boy Advance ROM can also be in the ZIP format—it will open the same way with MyGBA. For an iPhone GBA emulator, you might have luck using GBA4iOS. It’s not available from the official App Store but if you can manage to get it installed on your device, you can use it for free to play GBA games on your iPhone without needing to jailbreak your phone. One way to copy GBA4iOS to your iPhone for free is to download the GBA4iOS IPA file and copy it to your phone with Cydia Impactor or Diawi. However, those methods don't always work and are rarely compatible with the newest iOS release. Another way to play GBA games on an iPhone is with Delta Emulator. There are instructions through that link that describe how to get the emulator on your phone. If your iPhone is jailbroken, you might try GBA.emu. The free Ultimate GBA VC Injector for 3DS tool can convert GBA to CIA. Having your GBA file be in the CIA format (CTR Important Archive) lets you install the GBA game to a Nintendo 3DS. The program is small and completely portable, so it doesn’t need to be installed in order for you to use it. 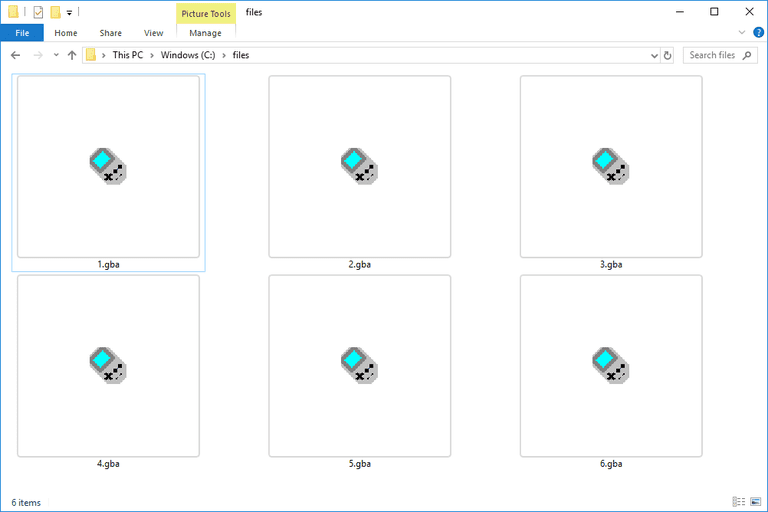 You can also convert the GBA file to NDS, which is another file extension used for Nintendo DS game ROM files. For that, you might have luck using the free, portable NDStation program. Some Game Boy Advance ROM files use the .AGB or .GB file extension instead but they should still be in the same format as GBA files. So, instead of needing a GBA to AGB converter, for example, you can try just renaming the GBA file to use the AGB file extension. It’s not technically a conversion but it should work in this case since the file extensions are usually used for the same format. For example, the GBR file extension looks a lot like GBA even though it might not be related to Game Boy Advance files at all. Most GBR files are probably Gerber files that store circuit board designs; others might be brush files used with the GIMP image editor. Similar is the GPA file extension. With just one letter off of a GBA file, it'd be easy to think that the file can open in a GBA emulator. However, GPA files are most likely GenePix Batch Settings files that only work with software related to GenePix Microarray Systems. If you can’t open a Game Boy Advance ROM file that ends in the GB file extension, you might actually be dealing with a GenBank Data file. It uses the same GB suffix but has nothing to do with video games or the Game Boy Advance. Instead, GB files open with DNA Baser Sequence Assembler or Genome Compiler. If you don’t really have a Game Boy Advance ROM file, research the file extension that your file ends with. As long as the format is relatively still in use, it should be fairly easy to find out how to open the file or convert it to a usable format.